All sorts of highly decorated players were competing in all manner of richly endowed events last week. Trouble was, if you live in Europe or the Americas, most of these money grabs were over before your Sunday lunch. Which means in the U.S. – unless you are an insomniac or remembered to set your DVR and stay off the websites – you missed Nick Watney’s closing 61 in Malaysia that muted the closing thunder of Tiger’s final-round 63. It’s that time of year in golf, when most of the important stuff has been replaced by all sorts of Q-Schools, points races, POY palaver, lowercase grand slams and farflung co-sanctioning that makes for strange tee sheet bedfellows. In Shanghai, Peter Hanson held off Rory in a Euro Tour event that looked for all the world like a Ryder Cup reunion when Luke Donald, Ian Poulter and Justin Rose all finished among the top 6. In Taiwan, Suzann Pettersen won for the second straight week, making a late case for LPGA Player of the Year. And back on this side of the International Date Line, you got jet lag just trying to keep up with it all. That said, there’s a legitimately good one in Guangdong, China this week. HSBC Champions. Purse: Seven million American. WGC backing. But no McIlroy or Woods. Draw your own appearance fee conclusions. And set your alarm clock. Finally, if you don’t know by now what Korean sensation Gangnam Style (574 million YouTube views) is, Jesper Parnevik’s very own Scandinavian version is featured in our weekly PostScript video. 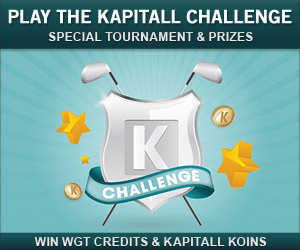 All players who sign up at Kapitall.com will earn 200 free WGT Credits as well as Kapitall Koins, with the top score earning 10,000 Kapitall Koins. The top 70 scores will also split 10,000 WGT Credits. Kapitall. Play the stock market like never before. More at www.kapitall.com. We're celebrating the first day of the World Series by giving away the new WGT Baseball: MLB virtual golf ball, designed to look like a baseball, FREE to anyone who logs in and plays World Golf Tour today. These popular GI-SD balls give you extra distance and spin on your golf shots...plus authentic red baseball stitches and a red vapor trail! This new virtual golf ball honors WGT Baseball: MLB our new baseball game. Build your baseball team and play against friends in this officially licensed MLB baseball game. The most realistic baseball game on Facebook where you actually play the game and make in-game decisions. 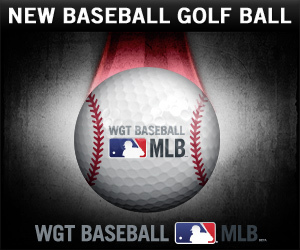 * Offer for WGT players who login and play on Wed 10/24/12, get 1 free virtual golf ball, the WGT Baseball: MLB Vapor Golf Ball. 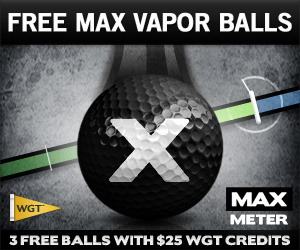 Special offer for WGT NATION members only, buy $25 or more WGT Credits now thru 10/21 and get 3 free MAX Slow Meter Vapor balls. Be one of the first to try the new MAX Meter Vapor balls, featuring the slowest WGT swing meter available - and now with a black vapor trail to help trace your shots. These MAX Vapor balls have good overall distance and spin, but the maximum amount of Feel for the easiest WGT swing meter, and unlock at the Amateur and Tour Pro tiers. WGT NATION is a free program for top WGT players. Get exclusive offers, early access to courses and equipment, and play in private tournaments with special prizes. Learn more and see if you're eligible to sign up at http://www.wgt.com/nation. *Special offer available to WGT NATION players only. Buy $25 or more WGT Credits from 10/18/12 to 10/21/12 and get 3 free MAX Meter Vapor virtual golf balls (Tour Pro+). 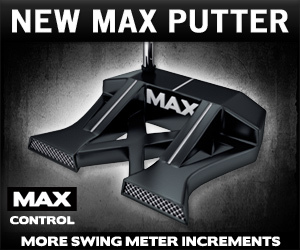 Improve your putting with the newest addition to the MAX virtual golf equipment line, the MAX Control Putters. These sleek new putters feature the maximum amount of control with more swing meter increments and greater precision, helping you make more putts, especially those 10 footers! Available in the Pro Shop now. Prize: SlicerSwing3rd was the lucky sweepstakes winner, chosen at random, for a golf trip for two to the historic Pinehurst Resort – including hotel, airfare and three rounds of golf. Prize: BolloxInBruges was the leaderboard winner, qualifying in the first round to make the second round cut, and having the best combined score of 170 at the end of this free tournament. The prize is an amazing golf trip for two to Kiawah Island, including airfare, hotel and golf. Prizes: After two rounds of play, these top 10 combined score leaderboard winners won Amazon Gift Cards, based on their final ranking. Prizes: These top three finishers in The WGT Cup during the Ryder Cup won extra Team USA or Team Europe virtual golf ball prizes, in honor of the Team USA vs. Team Europe competition. Congratulations to all of our winners, we’ll continue to keep announcing them as we verify and confirm them. For your chance to win, visit the WGT Tournaments page! Golf And Turkey: Who Knew? Merhaba. That’s what they say to one another by way of greeting in Turkey. Merhaba or hello. 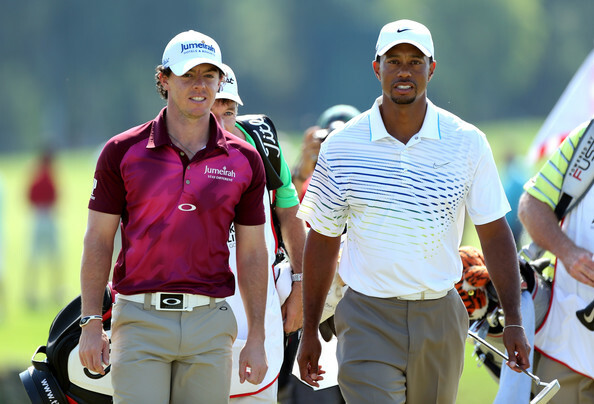 The buzz word in golf at the moment is momentum. And momentum right now is with Turkey, where big tournaments, ama­teur and professional, have been staged for the past three weeks. As if this wasn’t enough, midway through the matchplay event the European Tour and the Turkish Golf Federation an­nounced that from November 7-10 next year the Turkish Open will take place at the Montgomerie course for a purse of $7m and a field of 78 players. Significant­ly, this event will be immediately before the season-ending Race to Dubai World Championship, which could be the start of an end of season series of events on the European Tour to rival the FedEx Cup in the US. What was it we knew Turkey for? Turkish baths, Turkish Delight (note: a sugar-coated jelly sweet), Turkish coffee, cold turkey, turkey shoot. Now, it’s golf in Turkey. They’re trying to make a country that has fewer than 6,000 golfers and not even 25 golf courses, a Turkish delight. The reason for this is a forthcoming Olympics. Istanbul, Turkey’s second city, is bidding to be the host city for the 2020 Games. Madrid, one of the other candi­dates, is surely out of the race because of Spain’s well-documented financial woes. Tokyo has already held the sum­mer games (and Sapporo in that country the winter games). This leaves Turkey and Istanbul in prime position, which is why Turkish Airlines put up perhaps $15 million to stage the World Golf Final and why Turkey is blowing its own trumpet so loudly at present. In Belek in Antalya there is a 15-mile strip of land adjoining the Mediterranean that has been turned into something of a golfers’ paradise, and attracts 135,000 golfers each year, mainly from Germany, the UK and Scandinavia. “It’s the only compact golf venue in the world,” Ahmet Agaoglu, president of the Turkish Golf Federation, said. “There are 15 courses on a 15-mile coastline and 52 four-star hotels. Not bad, eh?” At that, Agaoglu, who has the slight build and flat stomach of a former 800m runner (“my best time was 2.04. Even the turtles can go faster than that nowadays.”) gave a satisfied smile. David Jones, the former European Tour player, has had a hand in the design of many of the courses on this stretch of golfing territory. “You used to be able to fly to Antalya, drive down to Belek and go along the road and to the right there was nothing, not even a rusty old shed,” Jones said. “Now, you need only a wedge to hit a ball from Tat to Novila, a distance of 15 miles, and only in one place, from the Montgomerie course to the Gloria course, would you need any club longer than a wedge. For pure golf, the only areas that match it are those in the Sand Belt in Melbourne, Australia, the Lancashire coast in Eng­land, and the west coast in Scotland. For all this enthusiasm for golf though, the past few weeks in Turkey haven’t gone as well as the enthusiastic (some­times over-enthusiastic) members of the host nation would have wished. There have been the continuing rumbles of trouble with Syria, 500 miles away, and on Wednesday night a Syrian plane en route from Moscow to Damascus was forced down and detained at Ankara airport. In an embarrassing incident, Agaoglu got involved in a scuffle with photogra­phers. And then it rained very heavily and one day’s play in the match­play event had to be abandoned barely one week after one day’s play had been wiped out in the Eisenhower Trophy. Suddenly, the future of golf in Turkey did not seem quite so rosy as it had at the start of the week. As anyone who has overseen the growth of a child knows, the first steps are the most difficult. We've been expanding the options to help you manage the email that you receive from WGT. The latest is the ability to control the Free Credit Confirmation emails that are sent when you receive WGT credits from surveys, videos or offers on WGT. As a courtesy, WGT has opted-out all players from those Free Credit Confirmation emails, so if you want to continue receiving them, just visit your Account page and opt-in for that or any of the other emails below. We've added a new set of hole locations on Congressional, site of the 2011 U.S. Open, creating exciting new shots and new challenges. 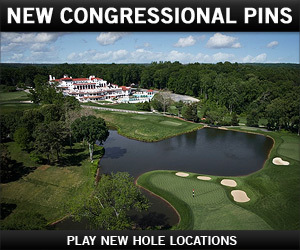 Be the first to play all the new hole locations in the Congressional free monthly tournament. WGT tournaments can now include multiple rounds and cut lines for both stroke play and closest-to-the-hole events. 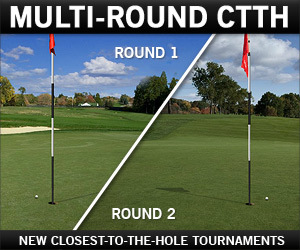 Play in the October Multi-Round CTTH free tournament with rounds on St Andrews and Wolf Creek. Check out the more realistic, but still challenging shots from uphill, downhill and sidehill lies, as well as improved chipping and sand shots from uneven lies. 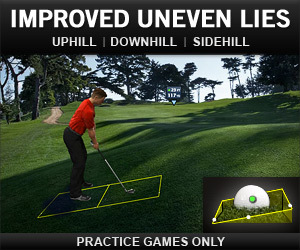 Note, we're still working on improving the left-to-right distance and flight path, so Uneven Lies is still for practice games only, but let us know what you think. Make more putts with more swing meter increments, including improved distance control for short putts under 10 feet. These top-performing and cool-looking new MAX CONTROL Putters unlock for top players at the Pro Tier and Master Tier. Ding more shots with the slowest meter in the game – now with black vapor trails! 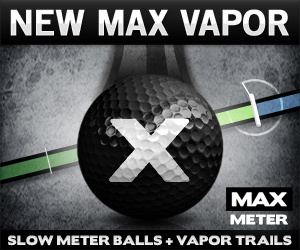 The new MAX METER Vapor Balls unlock for players at the Amateur Tier and Tour Pro Tier. New English avatars with a large red St George's Cross on the back, which join the collection including UK, Scotland, Wales and Ireland. Available now in the Pro Shop. See the new English Male 1 Avatar. In time for the exciting MLB post-season playoffs and World Series, you can now get the new WGT Baseball virtual golf ball featuring classic red baseball stitches and a red vapor trail. Get extra distance and spin on your golf shots...with a little baseball style. The result was the "Stevenharkin Private High Stakes Tourney!" – a single-play, 3-round stroke play tournament with a 10,000 credit entry fee, with WGT credit prizes for the top three leaderboard finishers. For players who are interested in more high-stakes games, we've just doubled the maximum bet for Match Play Challenge Games from 2,000 to 4,000 WGT credits. 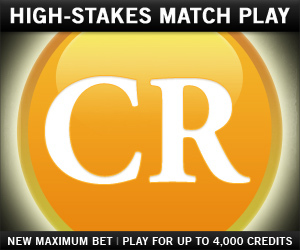 Challenge other WGT players to Match Play games for credits...recommended for top WGT players only!